Yet another summer gasshuku has passed and is recorded in the history books. 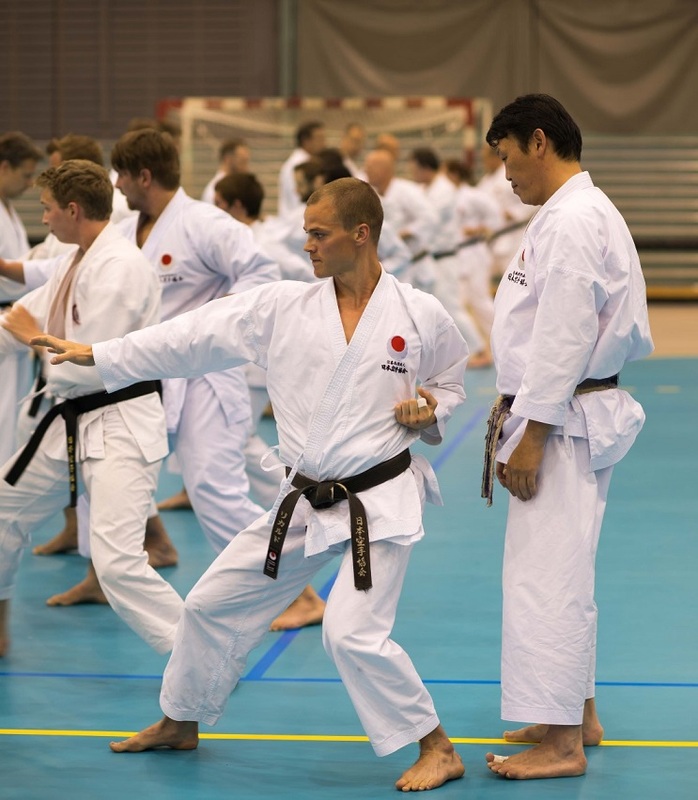 This was the 24th gasshuku in a row at Stord, with Stord karateklubb as technical organizer, on behalf of JKA Norway. These gasshukus have a mix of international and local instructors. This year all the international instructors have been here before. One of these was Kobayashi Sensei (JKA HQ), 7. Dan JKA, who was here for the 7th time this summer. As we have gotten to know him over the years, it is both educational and joyful to participate in his lessons. He demonstrates and teaches in a way that shows the high level of knowledge he possesses as well as his teaching skills, which gives us a great respect for him and his doings. us a great respect for him and his doings. Both he and the other sensei’s the undersigned got the pleasure of meeting during this gasshuku had some common important messages to take in and bring forward; always keep the body in an upright vertical posture (controlling the center of gravity), generate the power from correct stands, and the correct use and timing of the hips to transport the power throughout the techniques. Even though Kobayashi sensei has accumulated some years at this gasshuku he still can’t match our long-term friend and fantastic instructor, Otha Sensei, 7. Dan JKA and Chief instructor of JKA England. He has been here ever since the first summer gasshuku in 1995. As always, it is very inspiring to participate in his lessons, which always are executed with a touch of humor and his Norwegian skills for “left” and “right”. We have all heard “Ventre, papa”. And, as usual, the quality of his teaching is top notch, and aligned with the red line of the others for this year’s camp. The second guest from JKA HQ was Shimizu sensei, 5. Dan JKA. He has also been here before and impressed us all both then, and now. His speedy and perfect techniques combined with the great ability to present this to us students, gave valuable lessons that we can bring with us as we strive along to improve our own skills. The meeting with this sensei is like a refill of the motivation fuel tank. Notwithstanding from the abroad guest instructors we also had 3 national instructors. 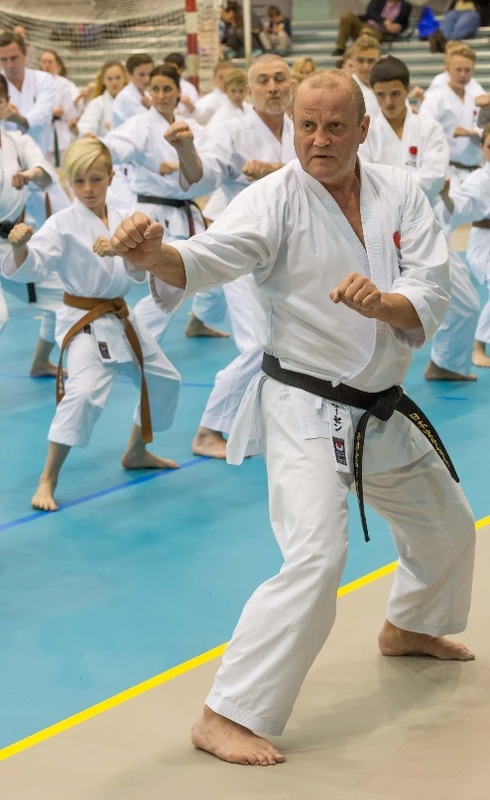 With the same amount of summer gasshukus as Ohta sensei, our very own Chief instructor, Larsen sensei, 7. Dan JKA, was of course as energetic as always. We also see that his level of knowledge and presentation skills hold JKA HQ standard. He can get a class of students to the edge of exhaustion but still leaving the ended class with a big smile on their faces, and with the knowledge of that hard work pays off. From technical committee of JKA Norway, Opsahl sensei, 5. Dan JKA, is a definition of an energy bomb. With her long-term dedication to karate, she has acquired skills within execution of karate and conveying this to the participants of the lessons that is worth every drop of sweat she brings out of us. If you lose concentration in her classes, she will let you know without any doubt that you should get your acts together. And after the lessons you are grateful that she has helped you along the way to your goal. 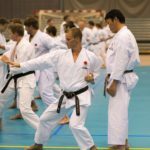 Also, from technical committee of JKA Norway, Johannessen sensei, 5. Dan JKA, was a part of the instructor team this year. 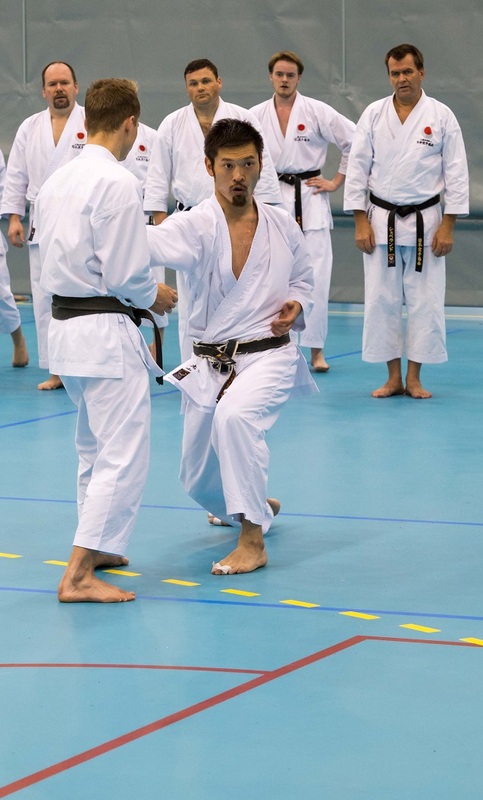 His focus on quality in the performance of karate along with the endurance of working repeatedly to achieve that tells us to never give up, even if you experience that it will take a long time to get there. It you leave his lessons with being soaking wet in sweat you haven’t paid attention to the teaching. This year an all-time high number of students tried to pass their exam for a Dan-grade, with a total of 88 Dan tests. 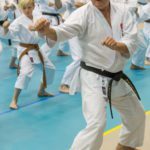 Many could after the test either tie a black belt around their waist for the first time, or add another note in their existing karate passport acknowledging the achievement of a higher Dan-rank than before. 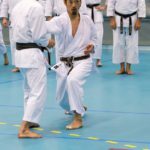 But many also discovered that the bar for passing such a test is high, and they must go back to their dojo and continue the work on perfecting their skills. Don’t give up, you will get there! The very definition of a tradition is to repeat positive events over and over again, and the Saturday night dinner party has become such a tradition. As usual held at Stord Hotel at the convenience of all the participants staying there for the whole gasshuku. For many this is the highlight of the event, enabling them to meet old friends and get new ones outside the training facilities. Some had very good reasons to celebrate that evening and did so. Even if that meant a though Sunday training day. All feedbacks were positive and passed on the staff facilitating the successful dinner. 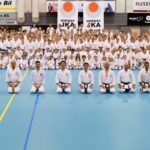 We take a deep bow for the instructors, the board and the technical committee of JKA Norway, and of course ALL the participants. Every one of you contributed to make this a successful Gasshuku. Without you, now gasshuku. Thank You, and welcome back! Oss!